A cascading bonsai is meant to show a tree that has determination and has persevered through a rough time. Usually this happens because of heavy winter snows, land slides or mud slides. These completely natural catastrophes will bend the tree down in nature. The main trunk of a bonsai in a cascade form will bend downward, past the lip of its container and past its root line. 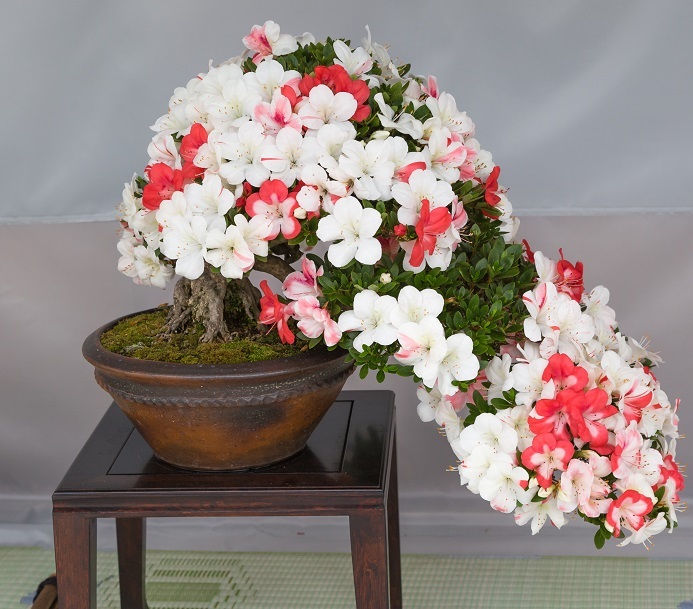 In Japanese bonsai, a cascade bonsai form is called a kengai bonsai.